One of the Colleges That Change Lives, Goucher stands out in several ways. When you’re accepted, you get a personal call from the Admissions office to let you know. Goucher’s wooded suburban campus has over 230 acres. Students are REQUIRED to study abroad at some point in their undergraduate experience. And environmental sustainability is one of the eleven categories within Goucher’s core curriculum. With just under 1500 students, Goucher classes are small and personal, and the campus has a “chill atmosphere,” according to my finishing-her-first-year tour guide (from Kentucky). Founded by Methodist missionaries, Goucher was one of the first institutions to accept Jewish students, and now about 35% of the students are Jewish. Goucher was a women’s college until 1986, and now there are 65% women and 35% men (the national college average is 60% women to 40% men). Goucher describes its curriculum as “liberal arts with a global feel.” The student to faculty ratio is 9:1, and 85% of the classes have fewer than 25 students. “You’ll never be in a class with 500 students,” say admissions officers. 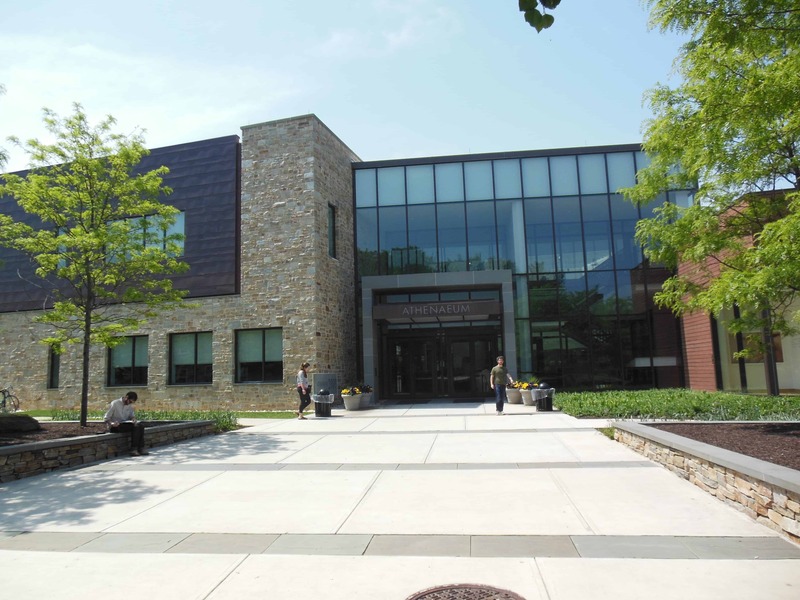 Goucher’s LEED-certified Athanaeum houses the campus’s main library. The small school feel comes despite a sprawling campus with over 230 acres, including an equestrian facility. The brand new LEED-certified library in the Athanaeum building is flooded with natural light; window coverings adjust based on the time of day. On-campus housing is required for the first 2 years, and 85% of students live on campus. Student-led dorm team-building exercises for first year students are mandatory. Just so you know – the dorms are co-ed and so are the bathrooms. Goucher excels in the performing arts – their dance program is conservatory-level. Many students pursue education majors, including child and adolescent development. The International Scholars program gives students from all majors even more opportunities to study abroad – including language preparation and vouchers to cover expenses while abroad. 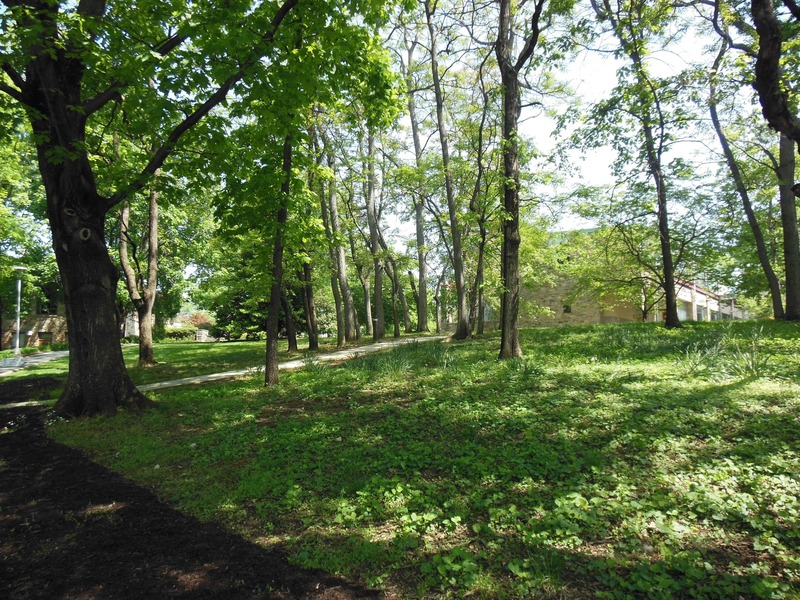 Here are some photos of Goucher’s beautiful woodsy campus.